Beautiful cabin feel to this home in the highly sought after Hidden Valley Ranch neighborhood south of downtown. 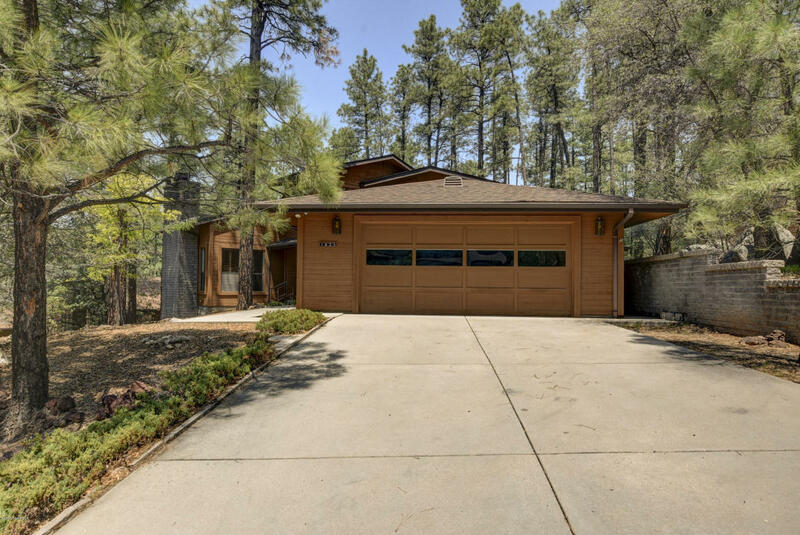 Wooded lot with Ponderosa and Juniper/Pinon pines includes great views out the extra-large family room. Large covered deck on the rear of the house with plenty of room to entertain or just relax. Great floorplan with downstairs master bedroom/bath and second bedroom upstairs off of spacious loft. Family room has a large fireplace and plenty of room to enjoy the views. Partially finished basement ''workshop'' with separate outside access is perfect for a hobbyist or can be used for extra storage. Separate RV parking lot within the Community. This is a must see!